I sincerely want to thank you for your professional and courteous handling of my property, finalising the buyers and the sale. George did a wonderful job with the marketing and the result was marvelous. 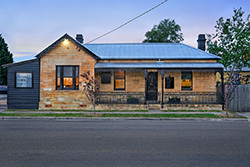 Thank you to all at McKillop Property who were involved with our sale. From the time George met us on our property, he was immediately and professionally able to connect with our expectations. Highly professional agent who was a pleasure to deal with through the entire process. Anita knows the local market thoroughly, her presentation skills, pricing and negotiation skills are excellent. Top agent, top results! Anita is very professional, impeccably dressed and her commitment to selling my house was just fantastic.